Technology changes our lives in amazing ways if we knew, we managed to come up with something that makes our lives even better. 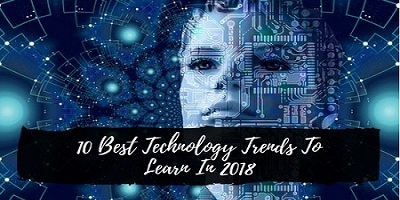 Here are the top 10 best technologies that you should look out in 2018 in order to make your carrier and business marketing success. Digital Twin or a virtual model of process product or a service to check how well it doesn't do in life. This is used where it's too expensive to actually create a real-life model. So, say you have to test the effectiveness of a robot that performs a task or performs a process. You have to build a digital twin of the model then the model is tested with scenarios and use cases. Some of the industries that use this technology are the oil and gas industry, the renewable energy industry and the aviation industry. How Digital Twin technology is making our lives easier? It helps reduce product effects because when the product is released in the real world it's already being validated using digital twin. It also saves a whole lot of time and money it shortens the time of marketing. What might be the future of the Digital Twin Technology? Companies will be able to use the data they obtain from their IT connected devices to help serve their customers better hence improving the revenue. The digital twins would come of great use in data collection visualizing the data and then analyze it. They would expand beyond its current scope and integrate with the wider set of technologies. 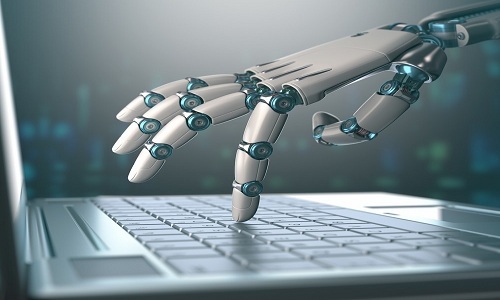 You've might have heard machines in manufacturing plants that will perform their own operations RPA uses a robot or a bot to perform business processes that are of high volume and to beat themselves. So, RPA uses artificial intelligence and machine learning together to handle jobs that would be themselves. Some of the tools that enable RPA are Blue Prism, UI Path, and Automation Anywhere. These are all software platforms and they provide the user tools to perform RPA on the processes that they require. How RPA is being used today? A job like responding to customers through chat can be automated. So, that only the more complex issues can come forward to the human workers and human capability by reducing the effort humans put into a redundant process. RPA helps increase the output of human beings by them working on something else a whole chunk of errors can be avoided by room some of the human continents in the work because unlike us a computer doesn't get tired nor does it take breaks. What might be the future of RPA? RPA would grow into more different sectors expanding from the current fields it occupies. So, that several components of the system coordinate and work together. The systems would move from a more rule-based system to ones that integrate AI. The system should be able to handle unexpected situations on their own. The Internet of Things interconnects several physical devices home appliances and just about all newly released electronic devices that can exchange data over the Internet. Some of the more popular developer tools using which IOT can be implemented are the Arduino Eclipse and IBM Watson. How IoT is making our lives easier? Companies are able to track and analyze the data that the products sent back to them so that they can provide their customers with an improved experience wearables like the Fitbit, either users with a whole lot of information from the number of steps they take their shadows to notifications from third-party apps. It also collects, stores a large amount of data from the user for the companies to use. What might be the future of IoT has to offer? The city officials can monitor what is happening in the city how the city is evolving and how to enable a better quality of life to its citizen’s routers will have to become more secure. To provide increased privacy travelers will be forced to become more efficient and secure we would also see an increase in the usage of products that use artificial, then it's this would make the user's life a lot easier. 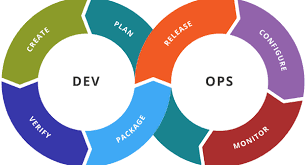 DevOps brings together tasks between teams so that they can communicate and coordinate better with each other this would increase productivity in the process. So, the teams I mentioned there the application development team and the system operations together they form a more Agile approach to software development. Some DevOps tools that are quite commonly used by companies are Jenkins, Docker, and Chef. These tools enable these corporations to integrate the properties of DevOps into different things. Why DevOps is so important? It reduces the amount of time it takes for a product to be developed built and tested. This ensures the customer receives the product faster. The output that the customer obtains is also of higher quality. It also assists in disaster recovery. It can help the car the files faster. What might be the future of DevOps? Although DevOps is a practice that is seen in larger companies, the future would see the adopted to smaller companies and teams so they can do takes created successes integrating their webs with Big Data projects would remove major bottlenecks that sudden changes to the nautical model would cause. There will also be an improved security to the core of the application. As the product isn't worked on by the apps team and the system separately. Cybersecurity involves many technologies, processes, and practices which ensure the data, computer, and networks are protected from attack damage and illegal access. It provides application security, protects your information, your network and your operations. Some of the more commonly found cybersecurity tools are Ossec, OpenVas, Onion, and WireShark. It prevents spyware or any sort of other malware from entering your system. It prevents the user from being attacked by Adware as well. Now Adware although sometimes innocent and unknowing could also spread harmful viruses into the system. Cybersecurity also ensures that the user’s privacy remains intact. What might be the future of cybersecurity? Although there have been significant steps being taken to increase cybersecurity there's still a lot more work to be done. The future would see more organizations come together to provide a better defense like inside the crack. Systems at some point you'll be able to predict and even combat new attacks. AI integrated into cybersecurity would ensure greater protection after learning from experience. Virtual Reality uses computer technology to create 3D environments that users can interact and can be mastered. It pushes the envelope of how much immersion the user can have. Augmented Reality integrates the user’s environment and digital information in real time. Pokemon Co is an example of one sets experience, AR would also be used in maps and supermarkets, providing essential information’s and generally making the user's life a lot easier. They are all gaming to be more immersive and personal experiences flowing you to feel like you're actively participating in the events of the game. There's also more marketing that can be done with 3D and animated catalogs, flyers and brochures. It also helps victims rehabilitate after they've gone through some trauma or injury. What might the be the future of the VR and AR? Education would be a more immersive experience because a lot more can be learned by seeing something rather than hearing how it work. Attractions and theme parks would be more interesting and varied medical students would be trained to perform surgeries and other procedures giving them an experience very close to the real thing. 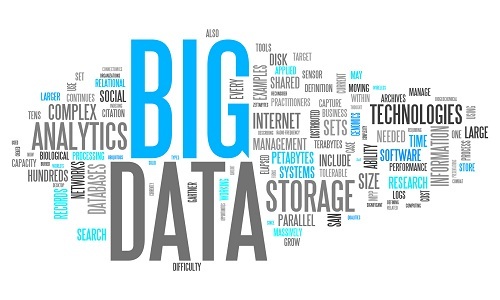 Big Data is a trend that extends to many businesses and technologies. It helps organizations describe large and complex data that cannot be handled by traditional software that handles complex data using Big Data can be visualized analyzed and stored. Some of the open source tools that are commonly used are an Apache Spark, Talent, and Hadoop. Some data visualization tools are Power BI and data extraction tools like Passhub and mozenoa. How is big data making our lives easier? You're able to identify business risks much in advance so that appropriate steps can be taken. It allows unstructured data to be converted into data that can be used to provide insights into how a company's management works. By extension, it also helps how well the company operates and how well its products do. What might be the future of Big Data? The future would bring more ways to analyze data. There would be a more specific role of Chief Data Officer that overlooks how well the Big Data is utilized. Big Data is still relatively less use the future would see more companies rely on data to generate revenue. Cloud Computing uses a network of remote servers that are on the internet, which helps to store manage and process data. Instead of actually using a personal computer or server some of the more commonly used service providers of cloud computing are the AWS of the Amazon Web Services, Microsoft Azure, and Google cloud. How is cloud computing being used right now? It helps in backing up and storage a file. It coordinates with Big Data analysis like customer behavior, buying patterns and so on to serve its users better. It provides infrastructure as a service, platform as a service and backup as a service. What might be the future of Cloud Computing? There would be a wider variety of applications that the cloud can provide. The hybrid cloud which is an up-and-coming technology would seem more mainstream usage. There also be a greater innovation in the cloud considering how fast technology is transforming. The blockchain is a continuous growing list of records blocks. These are secured and linked using cryptography. Some set of records that blockchains can use a transaction detail, the location of cryptocurrencies and the user's medical data. So, you see here the records to form any chain that keeps on the building. Here are some types of cryptocurrencies some of these you might have heard of and some you raining for the first time this Bitcoin, Litecoin, Etherium, etc. How does lock shake make our lives easier? It also provides better security against data being stolen or being misused. With all the data available in one convenient location. Transactions can also take place at a faster pace. What might be the future of Blockchain? It might be adopted by banks around the world. Cryptocurrency would also be widely used by people. People will be able to move past the initial fear of them and accept it as another method of transaction. It might also give rise to new industries and job opportunities. Artificial Intelligence creates intelligent computer systems that act and think like human beings. So, here are some AI tools that are commonly used, these are Prediction IO which allows developers and data scientists to create their own predictive engines. This is the Azure machine learning workbench that allows developers to build their own AI agents or build upon existing models. Tensorflow it's a software library that's used for data flow programming. It's commonly used in deep learning. Machine learning systems learn and improve based on experience without being programmed to actually do something. Here, the machine performs the task, learns from that task and improves its performance for the next time around. How is AI helping us now? Systems are able to understand what the users are saying to them and perform an action or respond accordingly. Smart cars that get better with experience and virtual private assistants like Alexa Cortana that provide results based on user preference. How is machine learning helping us now? Predicting the traffic conditions and estimating what the taxi fares would be recommending people to tagging images and suggesting friends and social media improving search results based on user experience. What might be the future of AI and Machine Learning? It might have robot assistants to help in our day-to-day activities like you see in the movie I Robot. Cybernetic limb replacements might become a lifesaver for accident victims or amputees. Although automated transportation is a thing that's being worked on right now it's still a work in progress. The future would see a completely automated transportation system, maybe if you're lucky we'll have our own robot uprising. This trends are absolutely the greatest trends and these are definitely going to be the trends this year.